The past is the past, there is absolutely nothing you can do to change it. The only way you can change the past is by changing how you think about it in the present. For instance, some people beat themselves up incessantly about things they’ve done or said, people they’ve hurt. It’s all history! You can learn from your own history, learn not to repeat it, but you can’t change it. 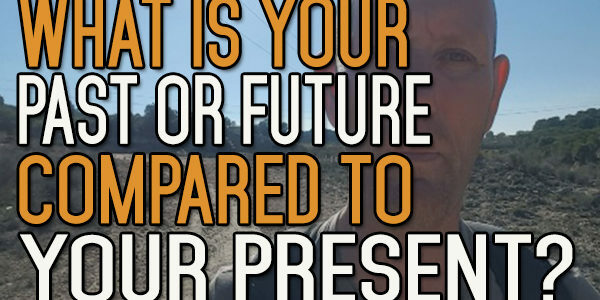 Your future is not guaranteed. Either the future of 20 years from now or 20 minutes from now. That’s just a fact of life. Eckhart Tolle said, “Realize deeply that the present moment is all you have. Make the NOW the primary focus of your life.” He is telling us all that our days are numbered, as are the days of the people we care about, as are the days of every other living being on this planet. This might seem like a dour message, full of pessimism and doom. It’s not meant to be. As I write this, I’m still breathing, I feel good about being alive, the sun is shining, I have good health, I’m not worried about very much, and I have a few good people in my life that I care about very much. As you read this email, you may be worried or not. The sun may be shining where you are or it may be snowing. You may be in good health or not so much. But you’re still breathing. You still have a chance to think and do, to live in the present. You still have the opportunity to solve this problem of alcohol. Living in the moment doesn’t mean taking what life has to offer you right now with no regard for what you’ve done in the past or, more importantly, for your future self. There are plenty of ways to gratify yourself in the moment without that self gratification negatively affecting your future. We all hope that the future is going to happen for us. And we all want our futures to be bright. One of the main reasons I stopped drinking was because I wanted to be the best possible version of myself, not only because that is a good way to live your life, but it is a great way of leaving behind a lasting legacy which could affect your descendants for generations. The legacy that I was left, one that also follows many of you, is one where alcohol is a “normal” part of everyday lives. And we all know how that is working out… Stopping this madness was, for me, one way of promoting a different outlook on life to my son, my granddaughter, and hopefully for future generations. Carpe diem. It doesn’t just mean to live in the moment. It’s a call to grasp the moments that life is offering up to you, in the moment. Take the opportunity to breathe in life. Soak it up for all it’s worth. Wherever life came from, wherever consciousness has come from, it doesn’t really matter, we have it, and it’s a gift. Instead of drinking in a toxin, trying to drown out life, drink life itself in. It’s much more rewarding. It will pay you in dividends for the rest of your life. Don’t allow the past to corrupt the present. Don’t allow the future to pull you too far away from the present. Take full advantage of what is here and now. The present moment is the only guarantee you will ever have in life. Good words indeed! Thank you for sharing. 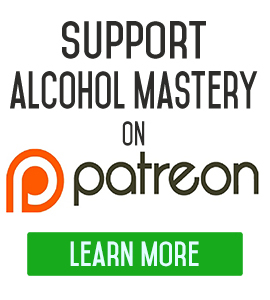 This is my 1st comment since joining the alcohol mastery program 3 weeks ago. 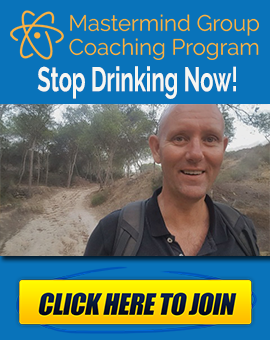 Your coaching videos were the missing piece to me fulfilling an alcohol free life. 3 years ago I decided I needed to quit drinking. I attended a Celebrate Recovery group (like AA) for 4 months, and hated it, I felt so powerless. Back to drinking. 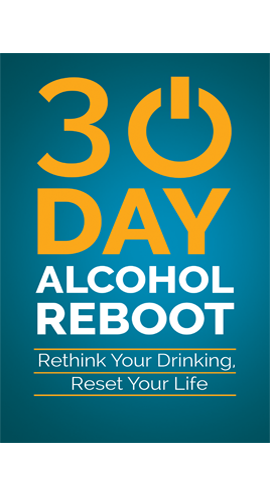 1 year ago I read “Quit the drink, easily” (similar to Allen Carr’s book). It was amazing information and helped me to really cut back on my drinking, BUT, I still felt my mind was not at peace, alcohol thoughts still persisted, until I started watching your videos. It just made sense now. 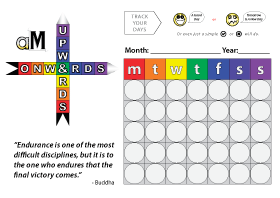 The habits were so established (triggers, rewards, behavior), the key was my mind. The past 3 weeks have been the most peaceful my mind has been for 30+ years. I’m really working at filling in the gaps that alcohol used to occupy. Thanks for sharing your journey with us. Onwards and upwards.